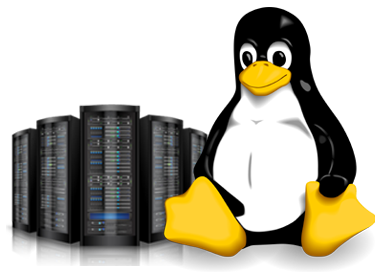 Best Linux Reseller Hosting Plan in India with Cpanel, Cheapest Linux Plan to Host Unlimited Websites. Private Label with Your Brand. Create your own hosting Packages. Sell at your own price. Now you have the power to have your very own Web hosting company. You will have reseller linux hosting account control panel called Web Host Manager(WHM). WHM is your reseller admin panel where you go to create your customer accounts. You can create hosting accounts for your clients instantly with their very own control panel called cPanel. From WHM you can administer all the websites. You can private label the hosting to your brand so your customers will not know Hosting.India.to is behind the scenes. Features you can customize include putting your logo on your customer's control panel, creating your own hosting plans with unique names and features, and using virtual name servers that alias your domain name to the web and mail servers. Fully managed. No need for security updates, uptime monitoring, patches or software installs. This is all handled for you at no additional charge. What is the difference between standard hosting and reseller hosting? In standard hosting you cannot manage anything like resources, bandwidth, and disk space but as a reseller you can manage all these through your WHM panel. You can get single cpanel for the standard hosting and for reseller WHM panel given to your client. If issue occurred in single account then whole hosting account will be suspended but in reseller hosting only single account will be terminated. Can we get separate cPanel in reseller plan? Yes, we are providing WHM panel to our resellers to manage entire client's website. In reseller plan every client has its separate cpanel account through which they can manage their websites. Why should i go with the reseller plan? You can host multiple domains under reseller plan and can easily manage them through your WHM panel. You can charge the prices to your clients according to your choice and have full access to allot resources. To enhance your business you can go with our reseller plan as there is no need to separately host your domain or wasting money on it. It is easy to manage Reseller Control Panel? Yes, it's easy to manage because of its quick control wizard. You can easily manage your Reseller panel with just few clicks.